Compressed Air Best Practices® Magazine interviewed Bob Groendyke, Vice President and General Manager, of Hertz Kompressoren USA. Good afternoon! Hertz Kompressoren recently expanded into the United States. Please describe the company. Hertz Kompressoren USA is headquartered in Charlotte, N.C. We’re a premium brand of the Dalgakiran Group Company, a leading international compressed air sales and service producer with a well-established worldwide network. Our parent company was founded in in Turkey more than 50 years ago and currently sells and services machines in 130 countries. Hertz Kompressoren has built a solid reputation by creating and manufacturing high-quality products offered at reasonable prices to satisfy our worldwide customer base. Our value-added formula is 1+1=3 or, as Aristotle said, ‘The whole is greater than the sum of its parts.’ By backing up our partner distributors from sales through service, we all do better. We operate in a highly competitive market in which purchasing decisions directly impact the bottom line. Customers expect machines that do what they’re supposed to do throughout their lifecycle. Hertz Kompressoren uses proven components with features that are valued by customers. Our systems are designed to minimize installation time, with easy connections that get customers up and running quickly. Because our reputation depends on word-of-mouth and social media recommendations, Hertz Kompressoren strives to minimize the number of customer complaints and product returns. Hertz Kompressoren keeps a comprehensive range of commercial-grade components in stock and ready for immediate shipment. We have a full line of compressed air products, with rotary screw fixed and variable speed drives ranging from 5 to 450 horsepower (HP). Reciprocating air compressors, booster and high-pressure (580 psig), along with matching air treatment products, provide any level of air quality purity. The Hertz Kompressoren HPC Booster Series delivers 215 to 580 psig. Early in 2019, we’ll be releasing our oil-free product line, an oil-free compressor meeting ISO 8573-1 Class ZERO standards that’s been tested and approved by TUV Rhineland. What do you mean by responsiveness? At Hertz Kompressoren, customer service has been and always will be the focus. Our key market advantage is our high-quality staff. Our team of professionals has more than 100 years of combined industry experience. All of them are experts in their fields of engineering, field service, customer applications, and product development. Our policy is to answer all emails, texts and phone calls within the same day whenever possible, and no later than 24 hours. We provide personalized, effective support by: listening to customers’ problems, identifying solutions tailored to each situation, and executing solutions. In short, we honor our commitments and follow through with what we say we’ll do. How does Hertz Kompressoren demonstrate reliability? The last thing we need is callbacks. We assure long-lasting, dependable equipment backed by a comprehensive warranty plan that’s among the best in the industry. Our Smart+ Extended Warranty covers all oil-flooded rotary screw air compressors shipped from Hertz Kompressoren USA. This comprehensive warranty covers parts and labor for five years on the motor, VSD, air/fluid receiver, oil cooler and after-cooler; and 10 years on the airend. The Smart+ Warranty is free for registered customers. By following recommended maintenance schedules and participating in the oil sampling program, registered customers are eligible to receive genuine Hertz Kompressoren replacement parts and lubricants. Smart Parts are made of high-quality materials for reliable performance and durability. The Hertz Kompressoren HBD Series unit mounted on a 120-gallon tank with a refrigerated dryer. Describe Hertz Kompressoren’s approach to collaboration with independent distributors. Hertz Kompressoren USA has a distributorship network with a very high capability of sales and aftersales services. We are dedicated to meeting the needs of our network of independent distributors as we expand across the United States. Our distributors are valued business partners who are treated as teammates and solution providers. Each partner is responsible for a territory and doesn’t have to share it with fellow associates in the same territory with the same product. Hertz Kompressoren offers ongoing technical and commercial training. We train distributors’ staffs on matters such as product features and benefits, product positioning, and competitiveness. Our comprehensive Hertz Factory Certified Training program provides specific technical training that covers machine maintenance and repair. This ensures technicians have accurate product knowledge and diagnostic testing experience. Our partners have access to a distributor portal containing detailed product information, engineering data sheets, manuals and drawings. What feedback have you received from partner distributors? To build long-term, healthy relationships with distributors, we encourage two-way communication so that ideas and feedback flow back and forth. Our distributors have told us they appreciate this open, honest approach. 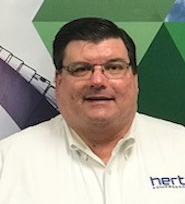 Scott Harper, Western Regional Manager for Applied Air Systems in Lakeville, Minn., has a five-person independent distributorship that depends on manufacturer reliability, responsiveness and ability to collaborate. He says it’s easier to deal with Hertz Kompressoren than larger companies that take a less personalized approach, have layers of personnel, and longer wait times to fill orders. He knows Hertz Kompressoren will supply quality, dependable equipment and do whatever it takes to resolve any problems. Morty Hodge, President of Atlanta Compressor LLC, serves about 1,800 customers in the Atlanta and Nashville area, including Fortune 500 companies, universities, hospital systems and federal government agencies. As an independent distributor, Hodge says Hertz Kompressoren consistently delivers reliable products that are readily available and generally don’t have warranty issues. When equipment fails, a customer’s entire operation shuts down and they lose money by the minute. Atlanta Compressor gives its customers peace of mind by relying on Hertz Kompressoren staff to work around the clock if necessary to get products out as soon as possible. Hertz Kompressoren’s network of independent distributors knows our company isn’t interested in taking over the customer base they work so hard to build. Our goal is to work in partnership with distributors to sell its products and help them grow. Hertz Kompressoren offers compressed air treatment dryers and filters rated from three to 10,000 cfm. What goals does Hertz Kompressoren have moving forward? Our goal is to be an industry leader in environmental sustainability. Protection of the environment is one of our top priorities. Hertz Kompressoren is committed to working toward continual improvement of its environmental performance. We believe it’s important for our products and our operations to have the lowest possible adverse impact on the environment. To that end, we’re striving to further improve energy efficiency and reduce emissions in all aspects of our business. Hertz Kompressoren’s policy is to operate in a more efficient manner, to avoid waste and, wherever possible, conserve energy. Thank you Hertz Kompressoren USA for your insights. For more information, please contact Bob Groendyke, VP & General Manager, Hertz Kompressoren USA Inc., Charlotte, N.C., email; robertgroendyke@hertz-kompressoren.us; tel: 844-354-3789, or visit www.hertz-kompressoren.com. To read similar Air Compressor Technology articles visit www.airbestpractices.com/technology/air-compressors.